Michael Bay IN the Action! 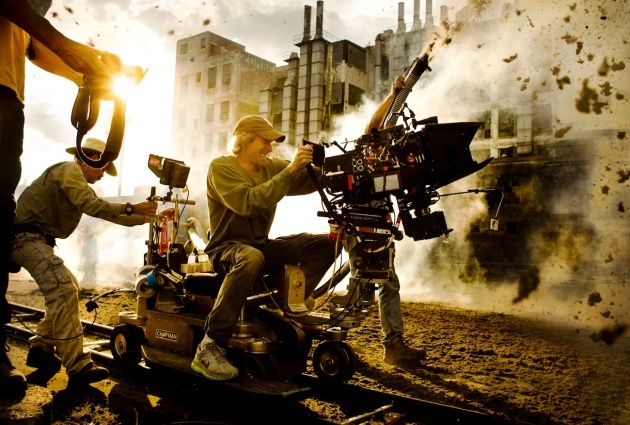 I find this still image from the set of Transformers: Age of Extinction quite interesting; it captures not only that Michael Bay is really having fun or just another explosion of the many we can see in his films, I think it portrays who Michael "the director" is, his fantasies, his motivations, all his movies and how he lives every production and that if anybody works with him, will have a blast, almost literally, as we all may know that Michael work at a very fast and explosive pace. Transformers: Age of Extinction will open in cinemas on June 27th, 2014.